There are few things more satisfying than getting results. When it comes to sculpting physiques, even fewer can compare. With the body as a canvass, the ability to control one’s own destiny is so tangible that it becomes quite addicting. After years of obesity, one can suddenly reverse his or her situation by dedicated weight training and healthy eating. And the results can be quite life changing. The only real opponent in body sculpting is yourself. Unfortunately, some are more successful than others as temptations cannot be completely slayed. Others take a longer time to maintain discipline. This is where Redoxfat can help. 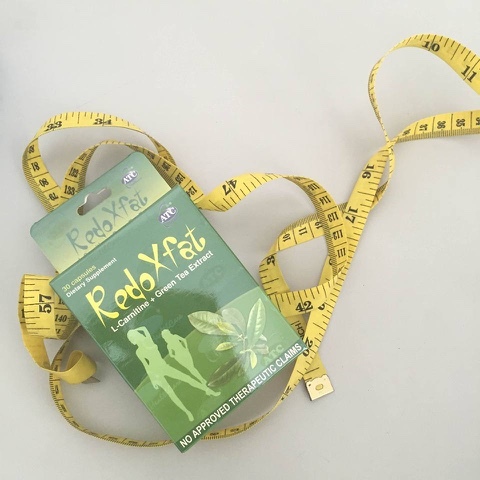 What can help us maintain our bodies despite having cheat days are two effective ingredients for weight loss: L-Carnitine and Green Tea Extract. RedoXfat is a food supplement that contains 350 mg of Green Tea Extract and 150 mg of L-Carnitine. RedoXfat’s component, L-Carnitine, is known to be effective in weight loss as it transforms the fatty acids in the body into sources of energy, thereby fueling you enough for the day. Also, having enough L-Carnitine speeds up your metabolism and improves your digestion. However, aside from its fat-burning capacity, Green Tea Extract is known to be an effective antioxidant as it is 200 times more potent than Vitamin E in fighting free radicals in the body. As a result, chances of having cancer are reduced. It also improves muscle strength and boosts immunity. It has the ability to detoxifying the body, reducing stress and depression and improving cognitive function. Still, RedoXfat is not a medicinal drug and should not be used to treat the symptoms of any disease. At the affordable prize of SRP P15.00 per capsule, get rid of your fats fast, before it kills your festive mood during the holidays! Take RedoXfat every day and realize for yourself that weight loss is a life gain after all. RedoXfat is available at Mercury Drug and other leading drugstores nationwide. See What's Inside Cricut's October Mystery Box!